Home » Posts Tagged "SB 30"
The 2017 Legislative session came to a close on Saturday night with the adoption by both chambers of the final budget conference committee report. There was little specific to public schools in the budget as the K-12 budget is contained in the school finance plan passed earlier (SB 19). The worst bit of news in the budget bill is that the conferees did not agree to any provision to pay back the money deferred from KPERS. While this action does not jeopardize KPERS retiree benefits, it undoes some of the work done over the past few years to bring KPERS back into fiscal health by reducing the unfunded actuarial liability. As we look at the work of the 2017 Legislature, it is a good exercise to measure that work against our own KNEA Legislative Agenda. There are four components to the KNEA Legislative agenda: Taxation, School Finance, Support for Educators, and Advocating a Bright Future for All Kansans. In the area of Taxation, under income tax we scored a major victory with the passage of SB 30 and subsequent veto override. Every goal we stated under income tax was achieved. The “march to zero” or “glide path” was repealed as was the LLC income tax loophole. 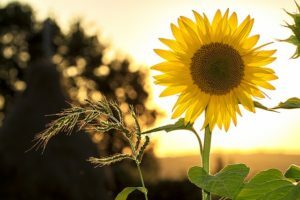 The income tax has been restored as the foundation of a balanced tax system, and a new higher income tax bracket was added restoring progressivity to the system. Our positions on sales tax (lowering the food rate and dealing with sales tax exemptions) while not achieved were included in bills and amendments to bills and all had hearings during the session. Sales tax exemptions on some services were even voted upon. We can report that progress has been made in addressing important sales tax issues. We also support the repeal of property tax caps on local units of government, an issue that was not resolved this year. Finally, we support a full repeal of the corporate tuition tax credit program. While this did not happen this year, we had one success as well as one loss in this program. All schools receiving scholarship students must be accredited (for the win) but the credit is now available to individuals (for the loss). In the area of School Finance, the passage of SB 19 assures that the unconstitutional block grant system is now history. Senate bill 19, for the most part, meets the criteria for a formula that we included in our legislative agenda.While the new formula does not fully fund the excess costs of special education, it does provide additional special education funding. We are especially pleased that it funds all-day kindergarten and provides some funding for pre-school programs. And fortunately, other pre-K programs were protected with the decision to reject the securitization of the tobacco settlement money which funds those programs today. SB 19 provides two years of funding increases to public education which must be tested by the Supreme Court for adequacy. We do not believe the funding to be adequate to the challenge of Gannon and will be anxiously awaiting the Supreme Court review. In the area of Support for Educators, we are happy to report that for the first time in many years, there were no attacks on the teaching profession debated in this session! That in and of itself is a major victory and it is in large part thanks to the work KNEA members did in supporting the election of more moderate Republicans and Democrats to the legislature. Our only loss in this area was the decision to not repay the funds deferred from KPERS. And while we did not manage to get due process protections restored, we did get the restoration through the House with a very strong bipartisan vote. Unfortunately, the Senate never took the issue up and our last chance was an amendment to the school finance bill brought by Rep. Jerry Stogsdill (D-Prairie Village) that was ruled to be not germane to the bill and so was not considered. The votes in the House this year give us hope for the future. In the area of Advocating a Bright Future for All Kansans, we must report that while we have not won on our issues, we have not lost ground either. We were delighted to see the expansion of Medicaid pass both chambers and then disheartened with the Governor’s decision to veto it. We are sorry that the Legislature was unable to muster enough votes to override the veto. Worst of all, despite the best efforts of many legislators, parents, faculty, students, and organizations including KNEA, the Legislature bowed to the NRA and refused to restore control of firearms to our Kansas colleges and universities. Beginning on July 1, 2017, our colleges and universities must either provide metal detectors and security personnel at all entrances or allow anyone to carry a concealed firearm anywhere on campus. Despite overwhelming support from the communities, NRA money and threats continue to carry the day. So all-in-all, when examined in light of the KNEA Legislative Agenda, this was a very good session for public schools and public school teachers. As we write this today, Governor Brownback has SB 19, the school finance bill, on his desk. What we don’t know is his plan for that bill. Will he sign it? Will he veto it? Will he just let it sit there for ten days until it becomes law without his signature? Our frustration is that every day that passes is a day less the Supreme Court has for review before the June 30 deadline. If he vetoes the bill, the Legislature will have an opportunity on June 26 during their ceremonial sine die closing to consider an override vote but by then we are only four days from the deadline. We are working with KNEA Legal staff to examine the various scenarios that could play out depending on a signature or a veto, an adverse court ruling or a special legislative session. Stay tuned for further KNEA reports as things play out. What’s going on, you might wonder. For example, why hasn’t Governor Brownback either signed or vetoed the school finance bill (SB 19)? Well, we’ve learned that the school finance bill has only reached the Governor’s desk today – why, we don’t know – and he now has 10 days to either sign it or veto it or let it become law without his signature. All of this is disappointing because every day delayed is another day that the Supreme Court no longer has to consider the bill. 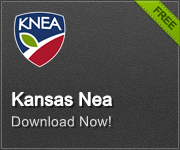 As for the budget, there are very few things in there that are addressed in the KNEA legislative agenda. There are a few KPERS provisions – one to study how much KPERS has invested in “pay day lender” businesses and others dealing with paying back the funds delayed or simply not paid to KPERS by the state. The only other education provision is one requiring the School for the Deaf and the School for the Blind to each have their own superintendent with the requirement that the KSD superintendent know American Sign Language. The K-12 budget is contained in SB 19, the school finance bill. Senate Majority Leader Jim Denning (R-Overland Park) today intimated that if the budget negotiations in conference committee were not wrapped up by noon, then the legislature would have no option but to meet on Saturday to wrap up their work. In other words, look for things to go into Saturday for the wrap up. We are today on day 111 of the traditional 90 day session, pushing the record. The record longest session in Kansas history was in 2015 when it went for 114 days. We’re getting close. If they wrap up on day 112 tomorrow or even day 111 today, the 2017 session would be second longest in state history! UPDATE: By 3:10 the Senate Majority Leader announced that the Senate would not take any further action today and would determine their starting time tomorrow based on the progress made by the budget conference committee. We anticipate the House will do the same when they reconvene at 4:00 this afternoon. It Really is Sunrise in Kansas! House and Senate majorities on Monday night passed comprehensive tax reform (SB 30). They restored the three income tax brackets and repealed both the glide path to zero and the LLC income tax loophole. They also began the restoration of income tax deductions that help middle and low income families, including medical expenses, child and dependent care expenses, and property taxes paid. The debate and bill passage were not easy. Some legislators are dug firmly into the position that all taxes and all government services are bad – one Senator even suggested that if you need a service like education, then you should pay for it yourself. But in the end, a majority in both the House and Senate voted to support tax reform. Unfortunately, those majorities were not strong enough to support an effort to override a veto. They fell one vote short in the Senate and 15 in the House. Governor Brownback did not take long to announce that he would veto the plan because, in his world, his tax experiment is working. Despite all evidence to the contrary, he truly believe his experiment is working. He vetoed the bill on Tuesday and that night, the Senate took up a motion by Senate Vice President Jeff Longbine (R-Emporia) to override the veto and pass the bill. A roll call vote in the Senate is conducted by calling each Senator’s name and they respond Aye or No. It was the last Senator called who put the bill over the top on the override. Senator Rick Wilborn (R-McPherson), who had voted No on Monday night, voted Yes on the override assuring that it passed. Those voting NO on the override were Republicans Alley (Winfield), Baumgardner (Louisburg), Fitzgerald (Leavenworth), Hilderbrand (Galena), Lynn (Olathe), Masterson (Andover), Olson (Olathe), Petersen (Wichita), Pilcher-Cook (Shawnee), Pyle (Hiawatha), Suellentrop (Wichita), Tyson (Parker), and Wagle (Wichita). The veto message then went to the House, where Tax Committee Chairman Steven Johnson (R-Assaria) made the motion to override the veto. Again, the debate focused mostly around the idea that Kansas “has a spending problem, not a revenue problem,” despite the fact that revenues continue to decline and we have had multiple rounds of budget cuts since 2012. 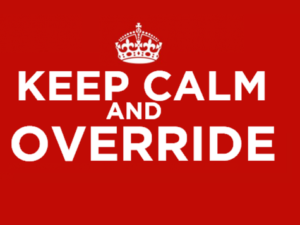 Moving the House to override was a much bigger task than in the Senate since we had to find 15 members willing to override in addition to the 69 who voted for the bill initially. In the House, roll call votes are done when legislators press a red (for no) or green (for yes) button on their desks. Their names light up in red or green on the vote board. The initial vote came up with 84 Yes votes – just enough to override. Some legislators explained their votes and then four more moved to the Yes column. The final House vote was 88 yes to 31 no. One legislator, Joe Seiwert (R-Pretty Prairie), voted “present.” Rep. Shannon Francis (R-Liberal) did not vote. Four others – John Barker (R-Abilene), Trevor Jacobs (R-Fort Scott), Les Mason (R-McPherson), and Jack Thimesch (R-Spivey) – were on excused absences. Those voting NO on the override were Republicans Arnberger (Great Bend), Awerkamp (St. Mary’s), Blex (Independence), Burris (Mulvane), Carpenter (Derby), Claeys (Salina), Corbet (Topeka), Delperdang (Wichita), Dove (Bonner Springs), Ellis (Meriden), Esau (Olathe), Garber (Sabetha), Highland (Wamego), Hoffman (Coldwater), Houser (Columbus), Huebert (Valley Center), Humphries (Wichita), Jones (Wellsville), Landwehr (Wichita), Osterman (Wichita), Powell (Olathe), Rahjes (Agra), Resman (Olathe), Schwab (Olathe), Eric Smith (Burlington), Sutton (Gardner), Vickrey (Louisburg), Weber (Wichita), Whitmer (Wichita), and Williams (Augusta). Also voting NO was Democrat Henderson (Kansas City). This action puts tax reform to rest for the session. But there is still more to be accomplished. School Finance Passed But Will It Be Vetoed? The school finance plan has passed, as we reported yesterday, and is sitting on the Governor’s desk awaiting his decision. So far, Brownback has not given any indication as to whether or not he will sign the bill and let it be sent on to the Supreme Court for review. While KNEA does not believe the bill will meet constitutional muster, it is important that action be taken on it as quickly as possible. If he intends to veto it, he needs to do it now so the legislature can either override the veto or get to work immediately on an alternative. If he intends to sign it, it should be done now to give the Supreme Court time to review the bill and hear arguments on its pros and cons. Hopefully a decision will be made soon. Perhaps even before you read this! What makes us think this bill (SB 19) will not satisfy the Court? Primarily, we believe it will not meet adequacy of overall funding. While most of the policy forms a solid finance formula, the funding amount is far below what the State Board has indicated is needed and will certainly not be adequate in the eyes of the plaintiffs. Additionally, there are legitimate concerns about how some provisions will impact required equalization. Last year, the Court sent the legislature back to fix equalization issues. This year, some are questioning new provisions regarding the false base for LOB which, under the bill, grows with the CPI-U and a provision on expanded spending authority under capital outlay. The Court may agree that these provisions are disequalizing and reject them. It is unclear whether the Court could separate them from the whole bill or not. Well, not yet. The longest Kansas Legislative Session ever was the 2015 session, which lasted 114 days. Today is day 110 for the 2017 session so we’re pushing it now. We believe it will be over before breaking the record, but it really depends on how the Governor deals with that school finance bill. If it’s vetoed, we could very well move beyond 114. Tell your legislators to override the Governor’s veto of CCR for SB 30! Yesterday saw the consideration of two school finance plans. The first was created from the conference committee work on HB 2168. The House put tax policy in the bill. Three provisions were included: the establishment of three income tax brackets, the repeal of the glide path to zero, and the repeal of the LLC loophole. Additionally, the bill would direct all state income tax receipts to K-12 education in Kansas. Under this, all other state services would have to be funded with sales and excise taxes and fees. This bill also required a “trailer bill” (CCR SB 30) that included other tax provisions many of which lowered the income tax receipts possible under the change in brackets. The revenue raised in the bill was lower than other tax bills considered this year. KNEA, along with other education organizations, opposed the bill (contained now in CCR SB 19). This bill failed on a vote of 32-91 and was sent back to the conference committee. Since the tax trailer bill was tethered to the school finance bill through a provision that assured if one of the bills failed, they both failed, there was no need to then vote on the trailer bill. Back in the education conference committee, the income tax changes were stripped out of CCR SB 19 and it was sent back to the floor as a school finance bill only. With the tax policy stripped out, the report was adopted in the House on a vote of 67 to 55 and later in the Senate on a vote of 23 to 17. KNEA believes that the education finance bill that passed is not likely to meet constitutional muster because the funding is not adequate and because there are several provisions which may be considered by the court to be disequalizing. Additionally, the bill expands the tuition tax credit program diverting state money to private schools. We know that many legislators voted against the bill for these reasons; others voted against it because they have no interest in increasing funding for schools. We also know that many legislators who agree with us on the above issues also voted for the bill because they firmly believe at this late date something must be sent to the court for review. They are counting on a court ruling to move more legislators to support a better plan perhaps in a July special session. After the failure of the tax/school combo bill, the tax conference committee met and assembled a new tax plan (again in CCR SB 30) that restored the three income tax brackets at higher levels than now but lower than 2012, repealed the glide path and the LLC loophole, and phased back in to law some of the family-friendly deductions (medical care, property taxes paid, mortgage interest, child care) over several years. This bill raised significant new revenue – about $600 million per year – and helped Kansas families. KNEA, AFT, Kansas Action for Children, the Kansas Organization of State Employees, the Kansas Center for Economic Growth, and other allies in Rise Up Kansas threw their support behind the tax bill. The stand-alone tax bill (CCR SB 30) was ultimately adopted by the House on a vote of 69 to 52 and then by the Senate after midnight on a vote of 26 to 14. We were delighted that a good tax plan was finally adopted but of course, there is still one more hurdle – the intransigence of the man on the second floor. It wasn’t long before Governor Brownback let it be known that he would veto CCR SB 30. We expected this. After all, Brownback has invested much of his tenure in destroying the tax basis of Kansas, starting with the reckless and irresponsible tax cuts of 2012. 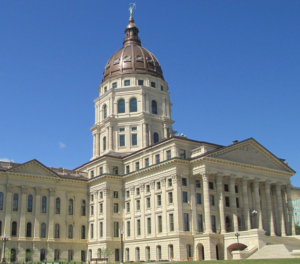 Legislators and Kansas voters know it is time to get the state’s fiscal house in order. In August and November of last year, voters threw out many of the most vocal supporters of the Brownback experiment, replacing them with moderate Republicans and Democrats. Despite Brownback’s lame duck status and persistent rumors of his pending appointment to a position in the Trump administration, he vows to leave the state in fiscal collapse. And sadly, it appears that some in the Legislature are okay with that. At this time, after six years of falling revenue, after 19 rounds of cuts to state services from universities to K-12 education to public safety, roads and highways, and the social service safety net; after multiple credit downgrades; after putting the state in massive debt through bonding and skipping payments to KPERS, it is tim e to turn this ship around. It is time to get on the path to fiscal stability. The Kansas House and Senate must stand up and override the Governor’s veto of CCR SB 30. If they do not, they risk the closure of public schools on July 1. We need every Kansan who cares, to contact their Representatives and Senators and call upon them to override the Governor’s veto of CCR SB 30. You can tell your legislator that you want them to override the Governor’s veto easily here. Is this legislature suffering like Sisyphus, cursed to repeat its failures or will cooperation end the cycle? We are trying hard to imagine a more disappointing night under the dome than last night. With the passage of a House school finance plan and the ongoing debate over a Senate plan, the Senate took a break in their debate just before 9:00 last night to take up the Conference Committee Report on HB 2067. This CCR represents a new tax plan that was very similar to the one killed by the House earlier in SB 30. CCR HB 2067 would have rolled back the worst three provisions of the failed Brownback tax experiment by restoring three income tax brackets, ending the “glide path to zero” income tax, and repealing the LLC income tax loophole. Rise Up Kansas supported this effort, as did Save Kansas Coalition, Mainstream Coalition, KNEA, Kansas Action for Children, the Kansas Center for Economic Growth, AFT-Kansas, the Kansas Organization of State Employees, Game On for Kansas Schools, and many other advocacy organizations. The report went immediately to the House where it was voted down with absolutely no debate at all. Now we understand the no votes in the Senate; they are the last 14 Senators who actually believe the Brownback tax plan is working (Republicans Alley, Baumgardner, Fitzgerald, Hilderbrand, Lynn, Masterson, Olson, Petersen, Pilcher-Cook, Pyle, Suellentrop, Tyson, Wagle, and Wilborn). We also know that the Republicans who voted NO in the House on the initial vote share Brownback’s ideology. What we don’t understand is the Democratic opposition. We understood their position on Senate Bill 30 last week even though we urged them to vote YES at that time. House Democrats were determined that if school finance ran first, the bill would be bolstered and a new tax bill would come back supporting a more adequate bill. The school finance plan was voted on, but the funding in the bill did not get increased. A motion by Rep. Ed Trimmer (D-Winfield) to increase the funding did not prevail. There are not enough votes today to pass a more robust school finance plan as evidenced by the failure of the House to increase funding and the debate last night on the even more anemic Senate plan. Last night’s tax vote in the Senate was a strong vote although one shy of veto-proof. Securing that final vote is possible. No one expects Brownback to be helpful. He is likely to veto any tax bill that reverses his failures and probably to veto any school finance bill that increases funding rather than just shifting around existing resources and does not contain a voucher program. Democrats and Moderate Republicans can and must work together to move forward. Cooperation worked on the tax bill in the Senate, and it needs to happen in the House. We are also very much aware that these plans together – school funding and taxes – likely will not satisfy the Supreme Court order in Gannon. Of course, this is speculation on our part. Only the justices have a say in what will satisfy their ruling, and we won’t try to speak for them. We believe the formula in the House school finance bill is good and will be found to be constitutional. We remain skeptical about the adequacy level and we do not believe the House plan will be found to be adequately funded by the Supreme Court. The Senate plan provides even less funding. But the plans are what they are at this time. They won’t be changed unless the Court forces change. The Senate plan passed this morning will be taken to conference committee along with the House plan and a final plan will be hammered out and a vote taken. With a June 30 deadline approaching, the Court needs a plan. It’s time to get one out. According to Legislative Counsel Jeff King, the Court will want to see that money is available to fund the school finance plan. CCR 2067 would have done this at least for two years and would have shown that the legislature made a good faith effort to fix the problem – even if that effort falls short and must be revisited under a subsequent Court ruling. Tomorrow, the Legislature will run out of money allotted for this session. After that, each day they meet will require more tax dollars be spent to extend this session; money that could be used for our unbalanced budget. We are not holding out hope for some divine intervention under which hard-right conservatives and the Governor actually decide that public education is worthy of adequate support. Or that the needed revenue to provide for our schools, roads, safety, and social service safety net is worth it. It now appears that it must be through judicial intervention that moves the Kansas Legislature to action. Perhaps it’s time to send something over to the Supreme Court.